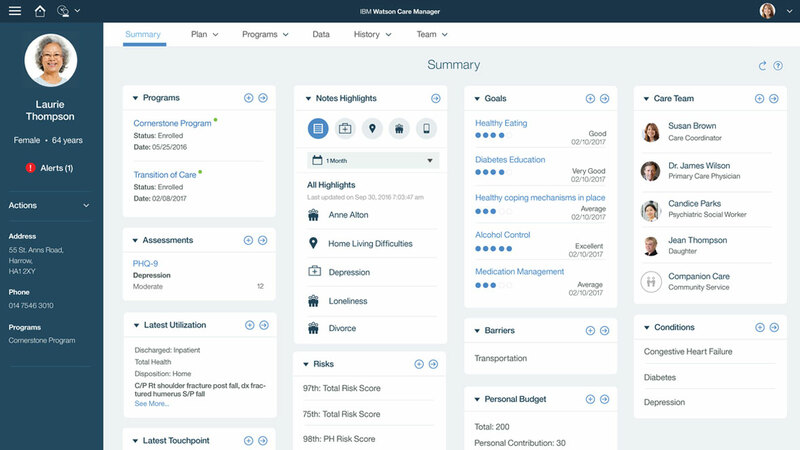 IBM Watson Care Manager enables agencies and providers to work with individuals to create and administer optimal care plans. IBM Watson Care Manager enables and connects specialty court staff through innovation. Citizens aren’t getting what they need to become more self-sufficient and recover from hard times. IBM Watson Care Manager enables citizens to manage their personal budget for all their health and social care needs. Kowsilliya Ramnaresh shares valuable insights on the steps organizations need to speed its transition to value-based care. Watson Care Manager uses summaries of relevant information to help families in the Montgomery County Juvenile Court.